The award winner entered the sphere of ethnographic film and visual anthropology during her university studies; she was our first ethnology student with the desire and capacity to present her seminar paper by creating a film, titling it Street Salesmen of Mladina (1988). In similar fashion she completed her bachelor’s thesis, titled Outline of the Living Culture in the Rožna Dolina Student Campus (1995), for which she had made the film Student Campus already in 1990. Her works introduced a template of written and visual content interplay in student university tasks, widening the space for the theory and practice of visual anthropology in the domestic academia. To this space, she has remained committed ever since. 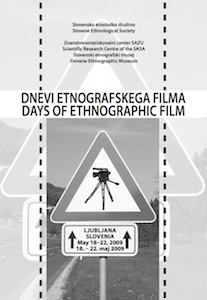 When the Slovenian Ethnographic Museum (SEM) in 2000 established its Ethnographic Film Department, Nadja became its first curator. 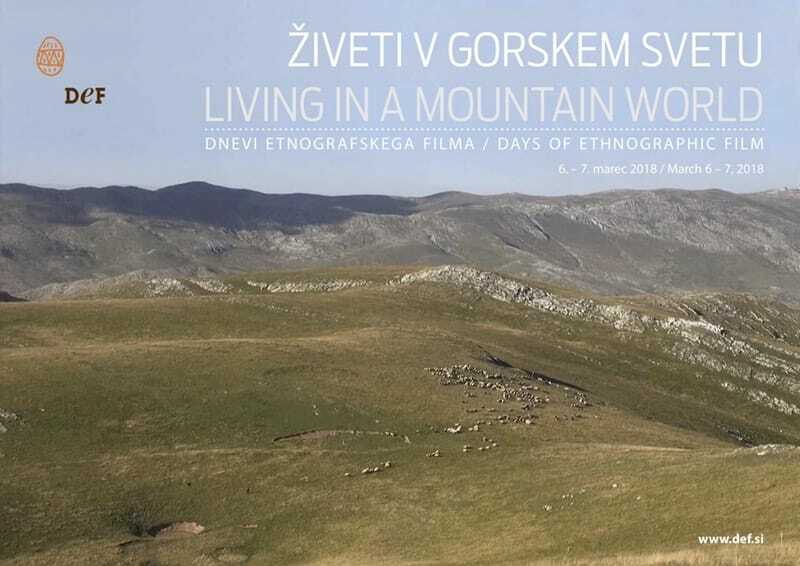 With this, Slovenia received a third professional position in the field of visual anthropology, and its second reference producer of ethnographic film for the purposes of ethnology research. As curator, Nadja Valentinčič Furlan was promoted to the title of museum councillor, a position where she accomplished much towards the integration of visual documentation into permanent and temporary museum exhibitions. She writes on this topic in the article Audiovisual Content at the Permanent Exhibition “I, We and Others: Images of my World” (Etnolog magazine, 2010) and elsewhere. She personally contributed a major part of the visual material that continues to be exhibited within the permanent exhibitions I, We and Others; and Between Nature and Culture. 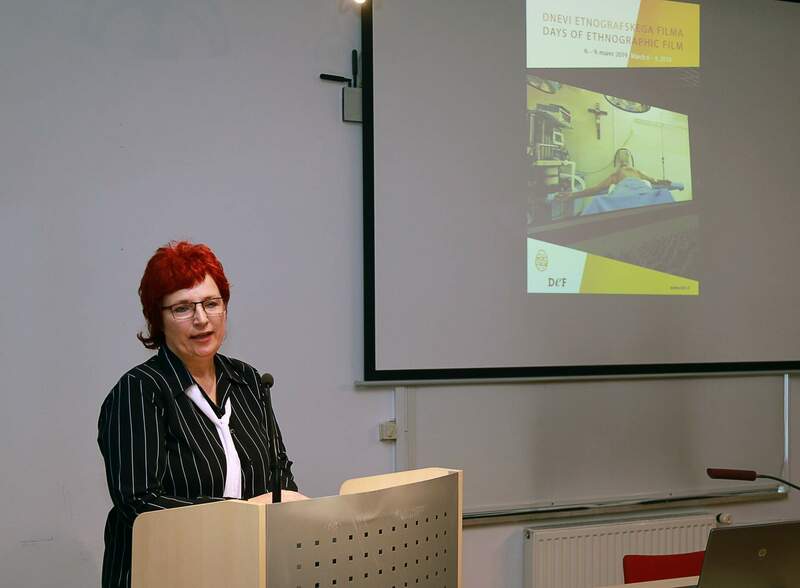 Especially significant was her contribution to the story of the čupa vessel Maria, the single preserved marine dugout canoe of the Slovenian fishermen, exhibited in the SEM as part of the permanent exhibition Between Nature and Culture. 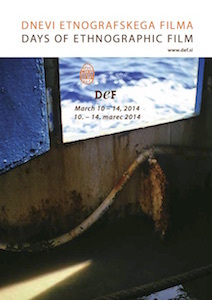 The artefact was the centrepiece of her film Čupa, Vessel of the Slovenian Fisherman (2006, 17 min.). 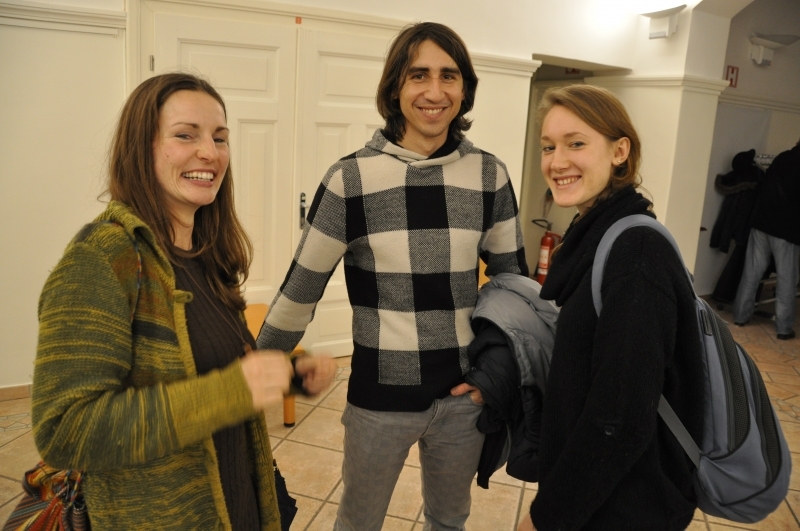 In addition, Nadja manages the museum’s Gallery of Storytellers and edits the Filmography of SEM. In her texts, Nadja Valentinčič Furlan frequently focuses on the importance of communication between film and audience, meaning here the museum visitors. 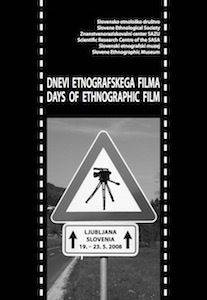 No coincidence, then, that the SEM on her initiative developed the practice of public annual presentations of domestic ethnographic film, the so-called Ethno-Film-Marathon that in 2007 grew into the international festival Days of Ethnographic Film (DEF) with multi-institutional support, where Nadja herself also cooperated up until 2015. To date, Nadja Valentinčič Furlan has published 14 scientific and expert articles of all categories, 13 conference lectures and 14 chapters in monograph publications, counting only the publications from the field of ethnographic film and use of visual documentation in the museum. She wrote a number of reviews and forewords concerning the subject, and gave 18 interviews for various public media on the issues of ethnographic film. She lectured numerous times on the subject to students of the Ethnology department, and those of the University for the Third Age. She was also a mentor at Youth Research Camps abroad and in Slovenia, and at the Summer School of Visual Arts in Nova Gorica. 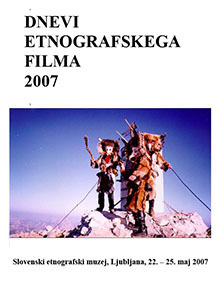 When the SEM was in 2011 selected as the coordinating body for the protection of intangible cultural heritage, Nadja Valentinčič Furlan dedicated herself to the production of films for the purposes of application of intangible cultural heritage units to the Slovenian and UNESCO lists. This was a sizeable challenge, since opinions on the best ways of creating this type of visual recordings continue to be the subject of debate, in the national as well as global frame. 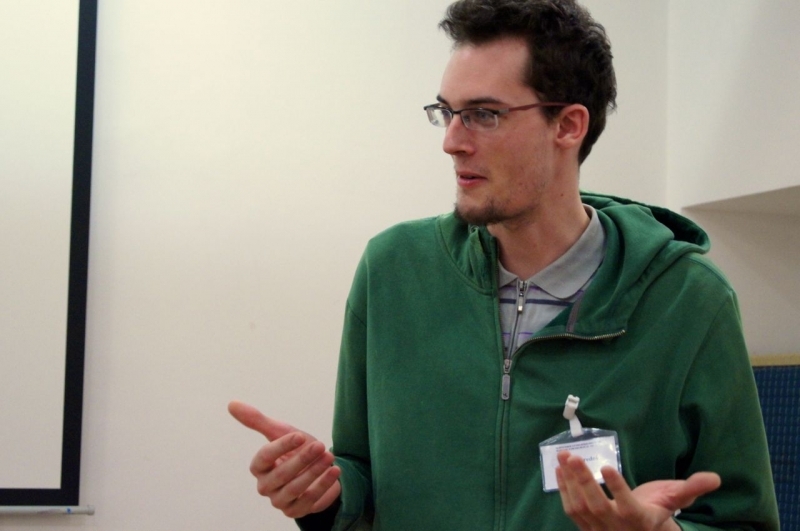 The result of her efforts were two resounding international conferences. 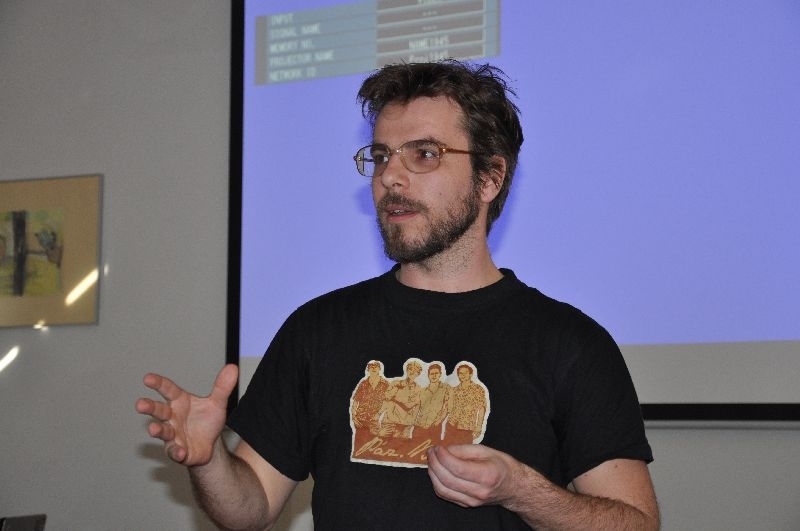 The first, organized in 2014 and titled Documenting and Presenting Intangible Cultural Heritage on Film was featured in an eponymous almanac (2015), and the second, Visualization of Intangible Cultural Heritage (2017) likewise in 2018. The latter almanac was translated to Chinese as a case European example. 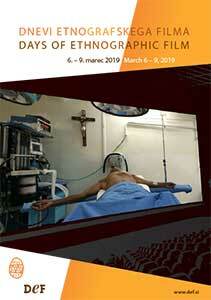 The purpose of both conferences and the accompanying publications was to encourage a greater consideration for the experiences of visual ethnography in the production of visual records pertaining to units of intangible heritage. 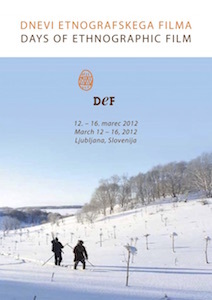 Alongside her professional activity, Nadja Valentinčič Furlan cooperated as the concept author of the themed route of the film On Our Own Land in Grahovo, in her home Baška Grapa. With this project the locals made lasting tribute to the memory of the first-ever Slovenian live action feature film. A town holiday was established to this effect, with annual gatherings of the locals and surviving members of the film crew. She described this original project at length, e.g. 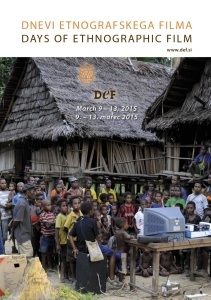 in the article Interpretation of the Heritage of a Feature Film: “Themed route On Our Own Land in Baška Grapa” (2014). Alongside all the stated contributions, more support for the bestowing of the Niko Kuret Award on Nadja Valentinčič Furlan is found in her extensive video production opus. It currently stands at 57 units where she is credited as screenwriter, DOP, director, or editor. In some cases, she performed all these roles by herself. This was made possible by her establishment of a studio with recording and post-production gear within the museum, so that visual documentation on the subject of various museum departments could be produced in line with the standards of contemporary visual ethnography. These production capacities further encouraged her colleagues to increasingly incorporate visual documentation into their regular museum work. Nadja Valentinčič Furlan’s three decades of prolific activity in the field of ethnographic film and visual anthropology is characterized by a coalescence of diverse roles. She is an editor, a researcher of the history of ethnographic film, a mentor, translator, photographer, lecturer, moderator, camerawoman, director and post-production editor. The majority of her efforts are directed at the contemplation on the role and meaning of visual documentation in the (ethnographic) museum. She has written extensively on the subject, maintaining contact furthermore, through her examples of visual production, with visual ethnography’s conceptual developments domestically and abroad. These feats reflect in her membership in the Visual Anthropology Network of the European Association of Social Anthropologists (VANEASA), and her role of regional editor of the AnthroVision online magazine. 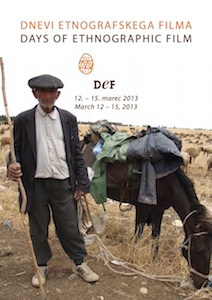 Among the existing recipients of the Niko Kuret Award, Nadja Valentinčič Furlan is the first to have received the guidance of primary education from domestic sources of visual anthropology practice, and has been giving back to this environment generously throughout her professional path, in particular in the museological utilization of visual ethnography – a field she personally helped built the foundations of in the national scope.